May 15-19, 2017 marked Art Week @StrongTowns and, while those days have come and gone, public art catalyzes Main Street’s unique vitality throughout the year. 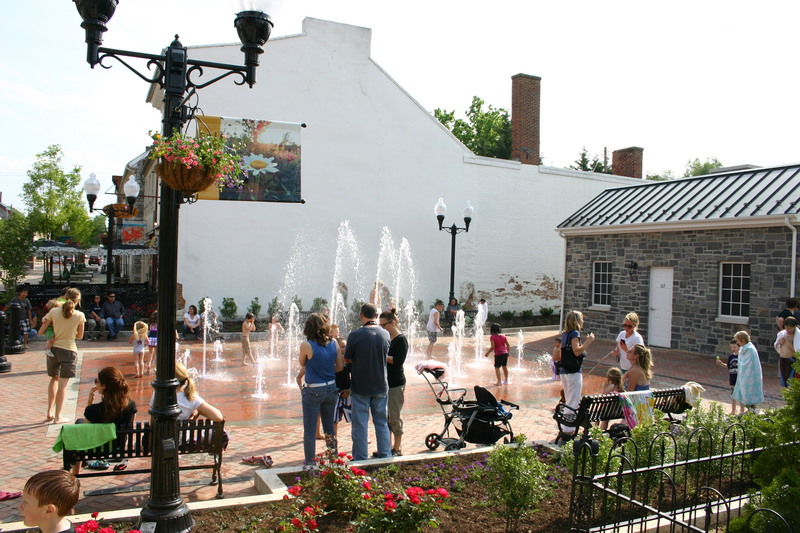 Old Town Winchester, host of the upcoming Virginia Main Street Downtown Intersections, creates an outdoor gallery experience through the Artscape program. 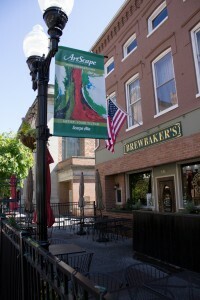 An annual, juried art competition, Artscape reproduces selected artwork on banners that hang throughout the downtown. During the summer, young families are drawn to the downtown for a splash pad installation, which illuminates in the evening. We should look for opportunities to incorporate climbing, sitting, playing and general whimsy through public art, when appropriate. It may involve grappling with questions of liability and insurance at the municipal level, but the payoff will be more joyful, active and social places. Whether you are planning a public art project, or not, you will find gale-force ideas to bring to your next Main Street committee brainstorm. We’re unveiling more info for Downtown Intersections 2017!